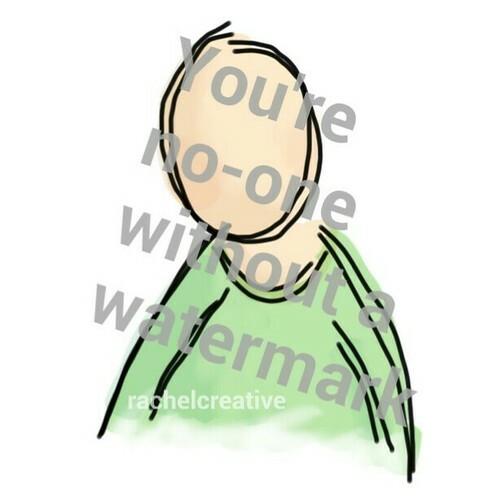 You’re no-one without a watermark. I couldn’t get to sleep after an online incident so I made this little digital drawing. You carefully place your work online with a description, medium, tags, ownership. Then it gets copied, saved, Pinned, shared, saved, cropped, altered and orphaned. You find it scattered across social media, blogs and web sites. Maybe it’s casual, careless, carefree or ignorant use of someone else’s work. But considering you liked it enough to use it, if/when the artist says “hey that’s my work” try to be polite at least. Maybe curious, maybe friendly, maybe a little out of sorts – but don’t be a jerk about it.